Weddings at the United States Naval Academy call for a bit extra planning and consideration to protocol and military etiquette. 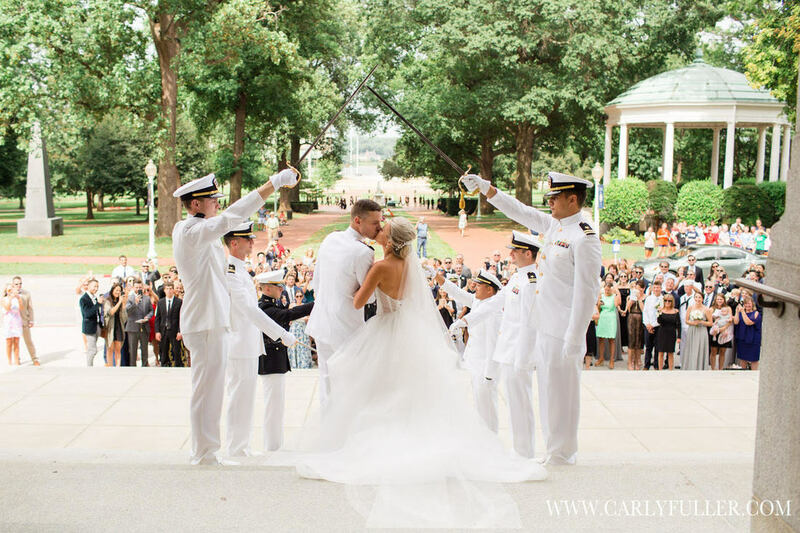 The grandeur of the Naval Academy location, the Chapel and the military traditions of the ceremony blended with each couple’s individual styles make USNA Weddings spectacular special events. 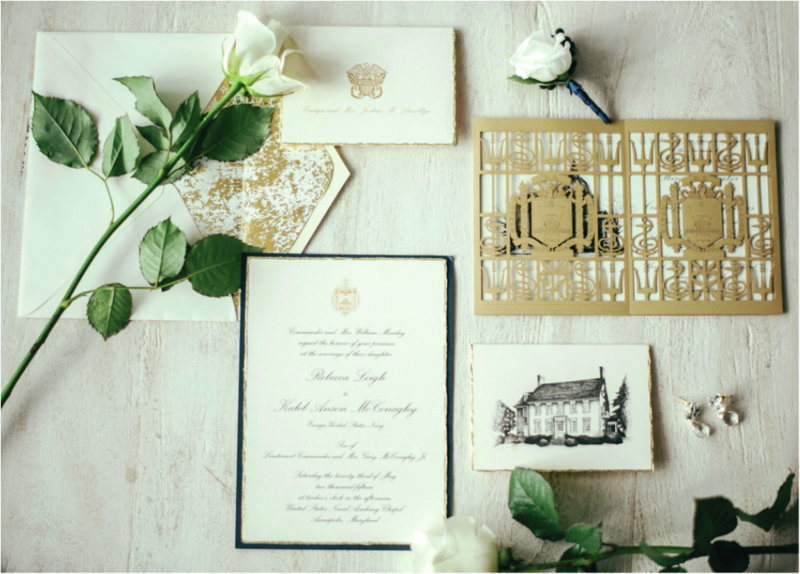 We are so grateful to have the opportunity to contribute to the marriages of those who serve by creating wedding invitations and accessories designed to showcase the specific wedding style while respecting military etiquette and timelines. 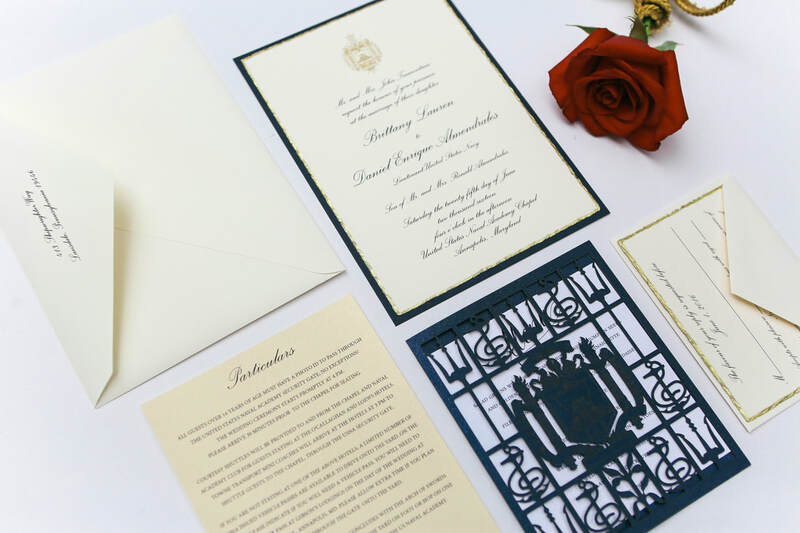 Cink Art, LLC is one of the few stationers licensed to use the United States Navy and Marine Corps crests on printed invitations. 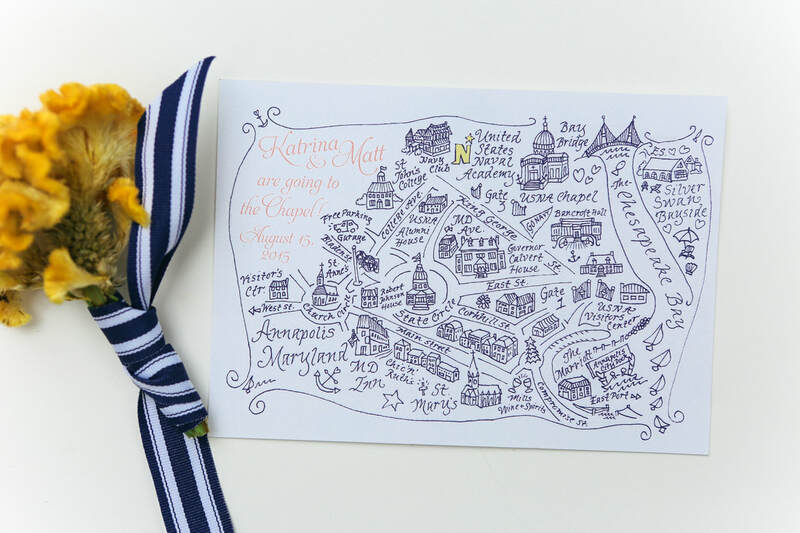 We have been providing wedding invitations and accessories for Naval Academy Weddings since 1986 and our inventory of designs and products for Naval Academy Weddings has grown considerably over the years as showcased on this exclusive page. In addition we have created a list of trustworthy wedding vendors we frequently work with who all have extensive experience or specialize in weddings taking place in Annapolis and the U.S. Naval Academy. All of our military customers receive a service discount so if you are planning a wedding at the U.S. 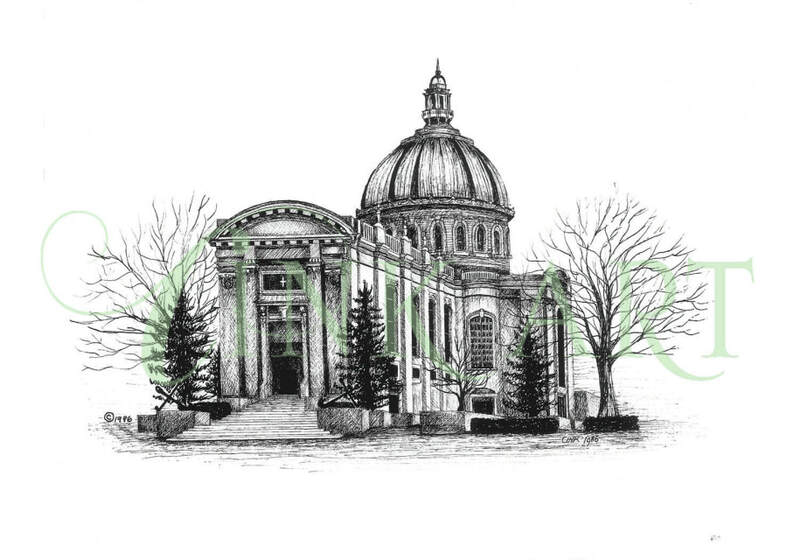 Naval Academy please check out the items and resources on this page and contact us for an appointment to meet so we can create custom designed stationery for your military event.